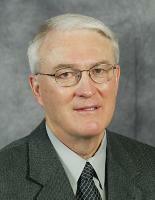 Gary Bargen is in his 10th year as the Director of Compliance for all sports at the University of Nebraska, Lincoln. A complete bio of Gary can be found at Huskers.com. This interview with Gary was done on April 11, 2005 by David Max. DM: Where are you from originally? GB: I’m from the state of Nebraska – I actually attended the University of Nebraska and went to high school in Nebraska, so I’m a native Nebraskan. DM: You grew up in Hardy, Nebraska? DM: And how big of a town is Hardy? GB: It’s not very big – I actually was born and raised on a farm and then graduated from a real small high school there and then attended the University of Nebraska and got my Bachelor’s Degree and then started teaching and coaching at the high school level. I received my Master’s Degree at UNL in Educational Psychology and then coached basketball and taught psychology in a junior college for nine years in Nebraska. I then became head basketball coach at another junior college in Kansas for eight years. In 1986 I came to UNL as assistant basketball coach. I coached basketball for nine years. I am currently the Director of Compliance in the Athletic Department and have been in compliance now for the last ten years. DM: So how did you make the transition from coaching to Compliance Director? GB: I communicated with Al Papik, the Director of Compliance on all of the issues as far as NCAA, Big 12 Conference and our own institutional rules as the liaison person from our basketball staff to compliance. I communicated with Mr. Papik at least two or three times a week so when I decided to get out of coaching, I was very comfortable working with Mr. Papik on compliance issues. When Al moved to the Football Office as Directory of Operations, I moved to his position as the Director of Compliance here in the Athletic Department. As a former coach I am very aware of the issues coaches are faced with daily, and able to work with them to solve problems and issues that concern NCAA rules and regulations. DM: Are you responsible for all sports? GB: Yes, we have 23 sports. DM: What is a brief description of your job? GB: Basically, when someone on the street asks me what compliance means I tell them two things. One, we’re responsible for the actions of all of our 550 athletes, all of our coaches, all of our Athletic Department employees, and anybody that is a representative of our institution’s athletics interest, which includes season ticket holders, booster club members in all sports, and all UNL alumni. Our job is to educate them so that they don’t do anything that would violate NCAA rules, Big 12 Conference rules, or the institution’s own policies. If someone would make a mistake like humans do and become involved in a violation, then it’s our job to try to help them and our institution to correct that particular situation. We try to educate them to keep them out of trouble or you try to get them out of trouble if they get into trouble. DM: So what’s the hardest part of your job? GB: The most difficult part of the job is to educate people to make sure they understand what kinds of things they can and can’t do to prevent problems before they occur. I think that has really changed because now we have a complete educational program here in Compliance where we meet monthly with all of the Athletic Department staff members, coaches, assistant coaches and anyone else that wants to come. Once a month for an hour we go over rules and regulations that seem to be applicable to that particular time of the year and then of course we’re pretty much on call 24-7, day and night, from any of our athletic staff – coaches and staff, so if they have an issue or a question, we would prefer they ask the question prior to doing something that may end up in a self-report, rather than just doing it and have to self-report it later. DM: I guess that leads into the next question – what does the University do to inform the general public about recruiting guidelines. Do you make this available online, or do you send out flyers to the alumni? GB: We have a compliance section on the UNL Athletics Department’s website. We also have a booklet entitled “The University of Nebraska NCAA Compliance Guidelines for Alumni and Supporters of Nebraska Athletics” which is an eight-page bulletin that is published about every other year. We send it to all season ticket holders, booster club members, and any one who requests one. DM: Do you do that when you mail out their tickets? GB: Yes, it goes with the tickets. We try to meet on an annual basis with at least the executive group of each booster club to go over basic rules and questions they may have, and then they can inform the rest of their booster club members. Theresa Becker is in charge of our educational program and she is also a former coach. She has done an outstanding job developing the program. I believe we as a result of our educational program our coaches and athletic staff, as well as a lot of boosters and alumni groups will call us before they do something, to make sure it is permissible. We really appreciate those calls, even though they are very time consuming, we know they are interested in trying to do things the right way. DM: I’m looking at your website – is it the one that says Compliance Guidelines to NU boosters? DM: I’ll link to that. What does the NCAA do to educate the general public? GB: They have information on their website that people can use to educate themselves. They also have publications that can be ordered to help a person become informed. I don’t know that it is the NCAA’s responsibility to educate an institution’s boosters and general public. The people that work for the NCAA in Indianapolis, are hired to interpret and enforce those bylaws and rules that are developed and formed by the presidents of the institutions. A lot of times people in the general public get all upset with the NCAA and believe that the employees of the NCAA in Indianapolis make the rules and regulations, when in fact they don’t make any rules and regulations. It’s the institutions that make those regulations and usually those regulations are based upon someone trying to take advantage of a situation. Since people try to take unfair advantage, new rules are put into place to correct such action, and then it’s up to the people hired by the NCAA to interpret the bylaws/rules and to enforce them. Thirty years ago there weren’t any such things as compliance programs in the institutions. That has come about by the importance of maintaining what the NCAA would refer to as institutional control. Institutional control is simply the fact that the institution is responsible for the actions within the athletic department of an institution and the individuals that are under their jurisdiction. We refer to those individuals as representatives of an institution’s athletics interest. DM: If you have any links to the NCAA resources, it would be great if you sent them to me and I’ll include them in the article. I’ll do my own research. GB: NCAA.org is their home site and you can link to the compliance section from there. DM: How many football recruits does Nebraska contact in a year? GB: I wouldn’t have any idea. The coaches are ones who make those decisions. It probably varies from one year to the next, depending on what their recruiting needs are. DM: How is the communication between you and the coaches? Do they call you with questions all the time or how does that dialogue go? GB: Yes, we receive numerous calls from our coaches. That has probably resulted from the fact that we have had athletic directors, chancellors, and faculty reps who are very interested in the athletic department adhering to the rules and maintaining institutional control. The compliance program has become a very important part of the athletic department, and thus establishing an educational program to educate our athletic staff as well as boosters has helped prevent issues that may have happened without it. Our administration has been very supportive of the educational seminars or rules sessions that we provide the first Tuesday of every month. I also believe that since Theresa Becker, the Assistant Director of Compliance, and myself are both former coaches here at Nebraska, that our coaches communicate with us because they know that we understand the issues they deal with as coaches. DM: Can anybody attend those or is it by invitation? GB: Yes, anyone within the Athletic Department may attend. They do not need an invitation to attend. The Athletic Director pretty much requires that coaches come unless they have a valid excuse. DM: So all the coaches have to come once a month? GB: Yes, unless they are off-campus recruiting or in competition. In some cases we will meet with a sport’s coaching staff in an individual meeting. For example, we will meet with the football staff, just prior to their going off-campus to recruit during the Spring evaluation period. We don’t necessarily open this to the general public or let it be advertised that the general public can attend – it’s for our Athletic Department. We also meet with booster club executive groups annually. Theresa Becker also schedules educational sessions with different support groups like the academic support staff here in the Athletic Department, which includes tutors and counselors. Educational sessions are also provided for trainers in sports medicine, events management and facility staff, hosts and hostesses of prospects for campus tours, and anybody else that is involved with the recruitment of prospects. We try very hard to educate all of those people to prevent possible violations. If the institution has some violations and you haven’t done everything you can do to educate people about what the rules are, then the NCAA would say you don’t have institutional control because you haven’t done enough to prevent the violations. DM: Do the recruiting rules vary from sport to sport? GB: Yes. Some sports do not have a recruiting calendar, others have a recruiting calendar and then there are different rules as far as when they can make telephone calls to a prospect; when coaches can be off-campus evaluating or having contact with prospects, when prospects can make official visits to the campus, and how many official visits each sport can provide. The NCAA is trying to make the rules for different sports more alike, but currently there are definite differences. DM: How long have you been the compliance coordinator? GB: This is my 10th year in compliance. DM: In your tenure for the past ten years, has Nebraska been put on probation for any sport? GB: Yes, we’ve had some sports that have been on probation. However, most of the violations, have been secondary violations. Usually, that means that you do not end up with a probationary period. Most of the time the institution will discover a secondary violation and self report it to the NCAA. Sometimes the NCAA will request information from your school about a possible violation that they heard about from some outside source and we have to investigate internally and make a self-report of your findings. When an institution is not self-reporting violations that are taking place, there may be more concerns by the NCAA about whether the institution has the proper monitoring procedures in place to identify violations. It is human nature that people make mistakes, so if no violations are ever reported, it is possible that the institution is not doing a thorough enough job. It is not bad for an institution to be self-reporting secondary violations. It may mean that there are penalties for the individuals involved, even though they might not have known that they were doing something wrong. You still need to self-report it and take corrective action within your own program and for the individuals involved. Maybe you will have to penalize a coach by not permitting them to recruit off-campus, or not permit them to make telephone calls to prospects for a designated period of time, etc. DM: How has the evolution of the Internet affected your job? With the proliferation of websites and recruiting websites, how has that affected your day-to-day operations? GB: Well, the use of the Internet has affected our jobs in compliance a great deal, because so much of our work is done on the Internet to find interpretations of the bylaws through the NCAA interpretation website, and to figure out what case precedent has been set on different issues. Thus, from that standpoint it has been very, very helpful. However, if you spoke to coaches about the use of the Internet, they would tell you that it’s probably both been very beneficial, as well as harmful in recruiting. As Director of Compliance, I have a great deal of concern as to what kinds of things are posted on websites In that respect a website may cause us problems within our own Athletic Department. In that sense, it’s harmful. As far as getting information out to the general public, it certainly creates a lot of excitement and enthusiasm for our athletic programs when website viewers can follow what is happening in the recruitment of top recruits nationally. We are very thankful for all the support that our boosters and people that support the Athletic Department provide us financially, as well as their enthusiasm at contests and events. We really appreciate that, however, they have to understand that sometimes that enthusiasm causes people to get so excited that they do things that could jeopardize whether we actually are permitted to continue to recruit a prospect who the coaching staff believes could be a very good player at Nebraska. Hopefully, by providing information like this interview on your website, fans and boosters can become educated on what they can do and what they are prohibited from doing. DM: I think so too. If you could deliver a message to the general public about how to avoid making recruiting mistakes, what would that be? GB: If they have a question at all about what they are permitted to do, they should call or e-mail us. A lot of times an e-mail will come and we respond very quickly to answer their question. However, in some cases they don’t understand the information we send them in the e-mail, then it would be much easier to just talk to them on the telephone because then there is dialogue back and forth and there should not be any misunderstanding. We would try to answer their questions and hopefully they will understand our explanation. Questions and answers in actual conversation usually lead to the best understanding. Anyone who is considered a representative of an institution’s athletics interest is not permitted to have any kind of contact with a prospect or a relative of that prospect. They should not be in contact with the prospect’s coach to try to identify who is recruiting the prospect and those kinds of things, either. If they identify a prospect in their area, they should notify the coaching staff here at Nebraska in that sport and tell them about that individual. Providing that kind of information to the UNL: coaching staff would be appropriate and not be a violation of NCAA rules. Any other involvement beyond that could be a problem. DM: Let’s just do one hypothetical. Let’s say that you lived in Kansas City, Missouri, and you have a next door neighbor that’s a good friend of yours that you’ve known for 20 years, and their son or daughter just happens to be a good athlete that could potentially be recruited at Nebraska and you’ve been friends with that family for that whole length of time, are you prohibited from inviting them over and showing them all your Nebraska memorabilia? GB: Let’s say you live next door and that young man or young lady has been in your house many times over the first 14 years of their life. You have developed a pre-existing relationship with that young person and their family because you are their next door neighbors. You have developed that relationship with the prospect before they became a prospect as a freshman in high school. You would be considered a representative of an institution’s athletics interest because of the fact that you promote Nebraska athletics in some way. You don not have to sever that relationship when that person becomes a prospect since you have known them before the prospect became a ninth grader. It’s just that you are not permitted to try to recruit that individual to the University of Nebraska or encourage them to be a prospective student athlete for Nebraska. It is not a problem for you to contact Nebraska and tell them about the prospect, but to try to convince the prospect to go to Nebraska, to get them to be interested in Nebraska, and promote Nebraska to them, that would be a violation in itself. Anyone that is a representative of an institution’s athletics interest, once that individual or that independent agency or corporate entity or organization is identified as being a representative of an institution’s athletics interest, that individual or organization retains that identity indefinitely. There’s basically only two ways that you are no longer considered to be a representative of that institution’s athletics interest, when you die, and if that individual is involved in some issue to the point where either the institution or the NCAA has to tell that individual that they no longer can be identified with the institution’s athletic program. Other than that, they will to continue to be a representative of the institution’s athletics interest indefinitely. 5. have been involved otherwise in promoting the institution’s athletics program. So a person that has a website, who predominantly promotes one certain institution’s athletic program could be considered a representative of an institution’s athletics interest. Even though they have never been a season ticket holder, they did not graduate from the University of Nebraska, they do not belong to the alumni association, and they have never belonged to any booster club, they could still be considered a representative of an institution’s athletics interest. Let me give you one example of individuals who got to be a representative of an institution’s athletics interest by just providing a job for a student athlete, even though that individual, couple, or family never had tickets to a football game, basketball game, has never been a booster club member, is not an alumni association member, but through an affiliation with another person met a student-athlete, and provided them a summer job. By providing a student-athlete a summer job, even if it is a very minimal summer job, that person becomes a representative of an institution’s athletics interest. If later on, this person then because of the friendship established with that student athlete, provides the student-athlete any kind of extra benefit, he would be committing a violation of NCAA rules. An extra benefit would be any benefit that is provided to student athletes or prospects that is not available to all the other students at that same institution. DM: This brings to mind a story a while back about how Eric Crouch got in trouble for eating a sandwich and he had to go back and pay for it or something like that? GB: You have to understand, that a person who was running for the Board of Regents knew Eric very well. He was a friend of Eric Crouch when the man lived in Omaha and now he was running for the Board of Regents. He had been Eric’s doctor at one time, thus had a pre-existing relationship with Eric. He wanted to know if Eric could help him campaign. And the answer was yes he could, but Eric could not receive anything for helping with the campaign. Eric could not be reimbursed for his expenses. Both Eric and the man running for office were informed that Eric could be involved in the campaign, but that he could not receive anything for doing so. They were also told that Eric should not be provided transportation when they campaigned in different cities. However, Eric rode with the candidate in an airplane that was provided by a person who was a friend of the candidate, to travel to three cities. They talked about it before they got on the plane, that Eric might have to pay for his expenses. Within two days the NCAA called and said are you sure you don’t have a violation. I said I don’t think so, because we had informed them earlier on what Eric could do and what he could not do. We investigated and sure enough Eric had been provided transportation and lunch at the home of a friend of the person campaigning. So we had to figure out what the expenses were for the gas used to fly the airplane, and the ham sandwich. Eric made repayment to a charity in the amount of the expenses he had received and was declared ineligible for competition. Once Eric made the repayment his eligibility was restored. DM: You talked about somebody had called the NCAA about Eric Crouch’s ham sandwich, do you ever get phone calls from people “turning in other schools for violations?” Would somebody call you up and say, hey I saw this recruit for Kansas State getting some special consideration, or would they contact the NCAA directly? GB: Usually people don’t call us and tell us about a possible violation that some other school may have been involved in. They may tell us about something that our institution has done. If someone calls us and tells us about something they have heard that may be a possible violation within our institution, we will check it out and self report it to the NCAA if there is a violation. DM: Talking about the booster organizations, how many organized booster organizations are there for Nebraska athletics? GB: I don’t know the exact number. Most of our 23 sports have a booster organization that promotes that sport, but several booster groups promote the athletic program in general so there are at least between 20 and 30. DM: Let’s do another hypothetical. Let’s say that you got a bunch of Nebraska fans in Wyoming and they say, hey let’s get together and let’s support the University. Let’s form a booster club. How would they go about doing that? GB: They should contact Paul Meyers in the Athletic Department’s Development Office. The Development Staff could help them set it up and give them ideas as to how they could support the Athletic Department. If it’s an alumni group, then those people should probably contact Ed Paquette at the UNL Alumni Association. In either case, each group could be considered a representative of the institution’s athletics interest. So we would want to make sure that the members of each group would be informed about how they could support UNL within the NCAA rules. I believe more and more of these groups are now aware of NCAA rules and regulations because of our communication with the Athletic Development Office and the Alumni Association. Our Compliance Office receives many telephone calls inquiring as to what their members are permitted to do, as far as having contact or communication with prospective student-athletes in there area. We like those calls, especially before they make contact with a prospect, so we can inform them of the NCAA rules and prevent any unintended violations. An example of such a call would be, a member of such a UNL support group will call and say “you just signed or got a verbal commitment from a prospect in our area to play at Nebraska next year and we’re having our booster club breakfast next month and we would like to invite that prospect and their parents”. The answer to that is no – you can’t have any contact with them. Even though the prospect has either signed or given a verbal commitment to attend the University of Nebraska next fall. That individual is still a prospect until they enroll and attend class in the fall semester. So a representative of our institution’s interest is not permitted to have any contact with the prospect or their relatives, including telephone calls, correspondence via email or mail, or face to face conversation. DM: At what point in time can they have contact with them? GB: Whenever they become a student athlete and are attending the University of Nebraska in the fall semester. DM: After the first day of class? GB: Yes, in their freshman year or in the case of a transfer when they are attending class during the academic year. DM: So if an athlete had signed on February 3rd to go to Nebraska and decided on July 31st that they change their mind and go to UCLA, they can still do that? GB: If the prospect signed a National Letter-of- Intent with UNL, they must be released by UNL or they will be subject to the basic penalty of the NLI (National Letter of Intent). If they received a complete release from UNL, they could attend UCLA and be eligible immediately. However, if UNL did not release the prospect from the NLI, the prospect could attend UCLA on their own without a scholarship and practice, but not compete during their first year in attendance, and they would lose one year of eligibility. That is why institution subscribe to the NLI Program. The basic penalty for not fulfilling your signed NLI used to be that prospect would have to sit out two years and lose two years of eligibility. Now you sit one year and lose one year of eligibility. DM: That probably happens very rarely, doesn’t it? GB: Yes, it only happens occasionally. It’s not to say that the institution won’t release the prospect from of their letter of intent because of extenuating circumstances. However, just because a coach left the institution where the prospect originally signed or the individual just decides they have changed their mind and want to attend a different school, are probably not reasons to grant a release from their NLI. That’s why there is a National Letter-of- Intent. The National Letter-of-Intent is not really governed by NCAA rules. It’s a separate organization that institutions belong to so that they can use and be governed by the National Letter-of-Intent. DM: Gary, Thank you for your time and your valuable input. If you ever want to deliver an update on compliance be sure to let us know and we will add it to this interview. Note to readers – There will be a part two of this interview that will deal with compliance from the perspective of a recruit and his family. If you would like to email feedback on this interview please send it to this address.